Beevio comes standard with tons of sweet features you're going to love. Here's a few to wet your appetite. Live US Phone, E-mail, and Chat Support during Business Hours No scripts, no robots, no idiocy. Our support staff is kept skilled and knowledgeable. After Hours Live US Phone Support Available Available upon request. If your company burns the midnight oil, let us know, and we'll make special arrangements to accommodate a support call with you. Beevio Mobile App for field reps to track daily activities Field reps can see their schedule and customers contacts directly from their iPhone or Android device. Then enter arrive and departure times, chemical usage, and schedule the next appointment with a few clicks. This is all instantly updated for managers to track in the office. Time on site tracking Knowing how long it takes to do a service makes future scheduling easier. Also, keeping track of when your technicians arrive and leave from their service stops will give your customers more confidence in your company. QR Code integration to service ticket tracking You may not understand how cool this is until you use it for the first time. Basically, every service stop has a unique QR Code printed on the service ticket. 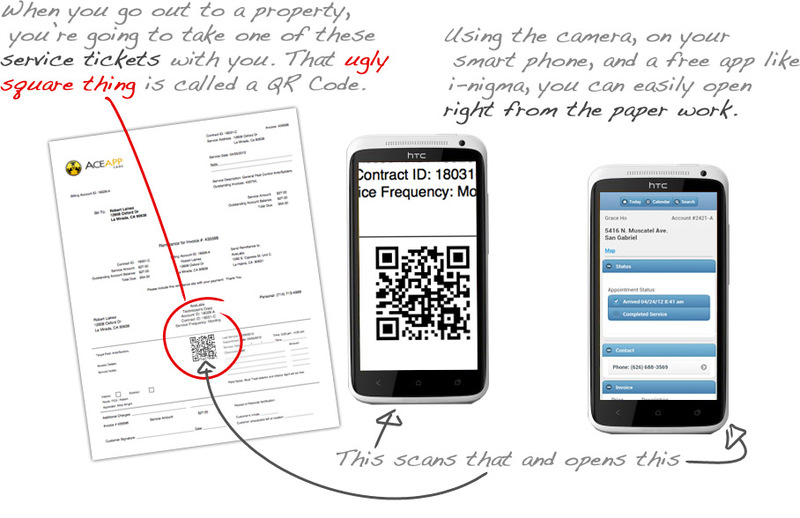 Using your smart phone to scan the QR Code will instantly pull up all the account information for the stop. Cloud Based Application / No Installation Needed Because the App is online, you are always up to date and always ready to access from any computer with internet access 99.9% Uptime Guaranteed And whenever possible, we will pick really slow times (like Saturday at 1 am) for that 0.1% for maintenance and stuff. Automatic Backups of Your Data Your data is automatically backed up by our cloud servers and you can download your own encrypted backup at any time. Each company has a dedicated secure database online, Not Shared So even if one of our customers is a super hacker, they can only monkey around in their own data. Custom reports made upon request We love reporting. If you decide you want to see your data arranged and sorted a particular way, just let us know. There's a form right on the reports page for you to tell us about your awesome idea. Constant development and improvement We take great pride in our products and our developers work full time to make this application as intuitive and elegant as possible. Beevio will blow you away. So easy to get started. Step right up, be amazed! Pest Control Software Create and track multiple recurring service contracts for the same property, neatly organized and easy to understand NPMA33 Inspection Program Typing up your WDI Inspection Reports now involves a lot less typing. 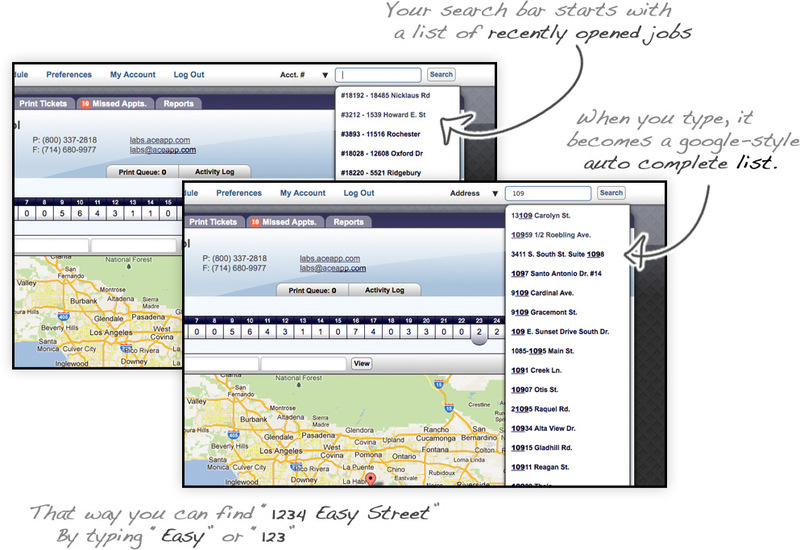 Customer and Account Management Easily track multiple accounts, contracts, and bids for your customers. Quotes, Invoicing and Statements Generate clean, attractive, professional level documents. No fuzzy looking logos on your documents. 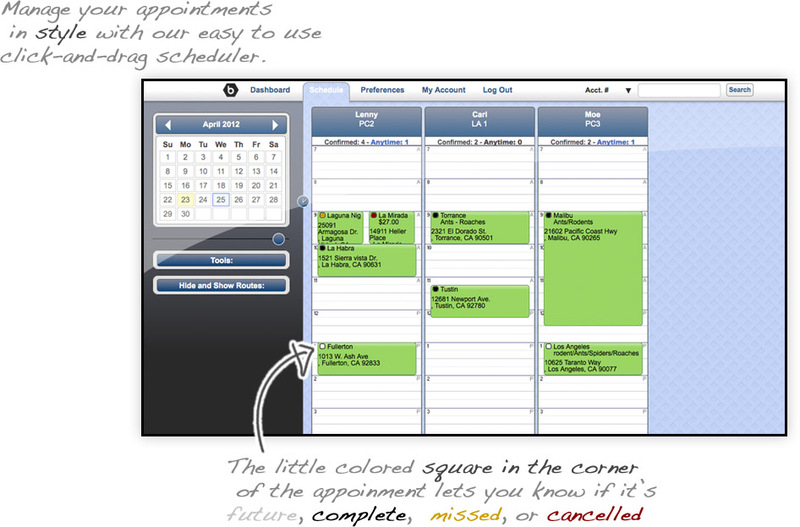 Route Management and Scheduling Click and drag appointment scheduling, auto-recurring service scheduling, and notifications for missed appointments. Detailed Reporting Quite simply, if there isn't a report that suits your needs, we will happily make one. Chemical Use Tracking and Reporting Easily create monthly chemical usage reports. E-mail Invoices and Statements to customers Painless PDF document output for e-mailing to your customers. Email Invoices / Receipts Directly from Beevio As opposed to creating a PDF and attaching it using your email client Email Notifications for Arrival and Completion of Service Stops from Smart Phone Integrated Route Mapping Google Maps Integrated into the App to guide the way.